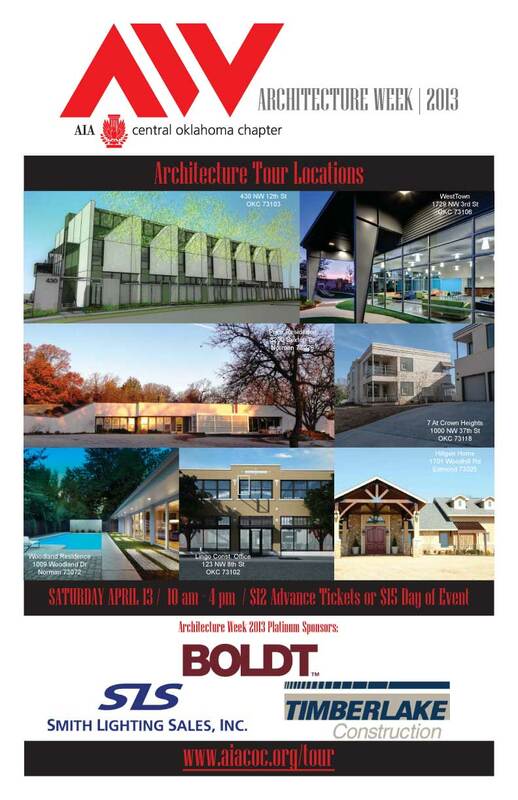 The AIA Central Oklahoma Chapter presents their 12th annual architectural tour on April 13, 2013. For a list of tour stops check out the event poster. Tickets are $12 in advance or $15 on the day of the event. We've created a map showing all the tour stops. For more info visit www.aiacoc.org. And a notable event after Architecture Week is happening in Dallas. The eighth annual tour of this Midcentury Dallas neighborhood will be April 20-21, 2013. For details visit www.whiterockhometour.org. Heard about an upcoming event? Comment or share it on our Facebook page!